The Large Don features a black finished 154-CM blade. 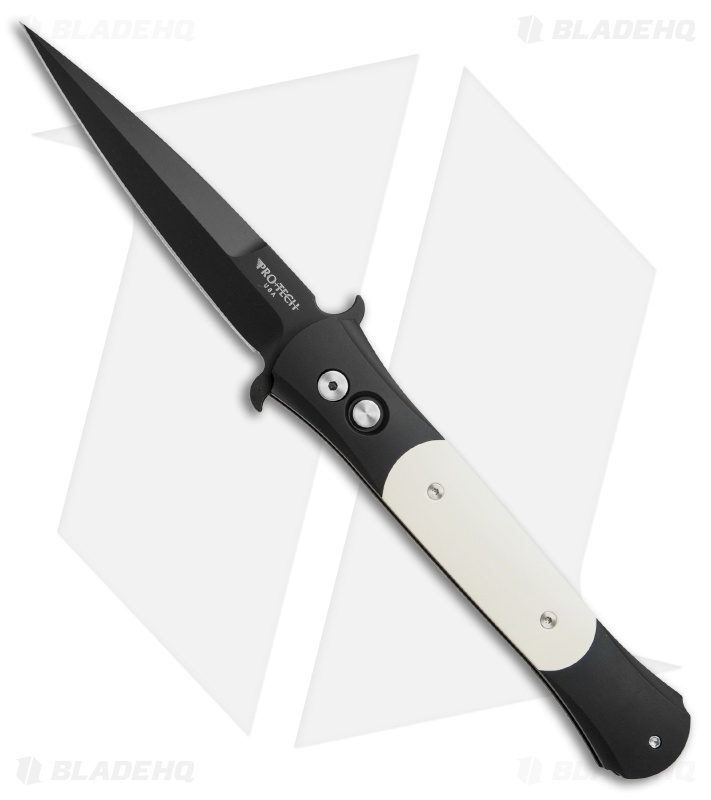 The body is 3D machined T6 aluminum; nearly every surface of The Don is curved including the front. 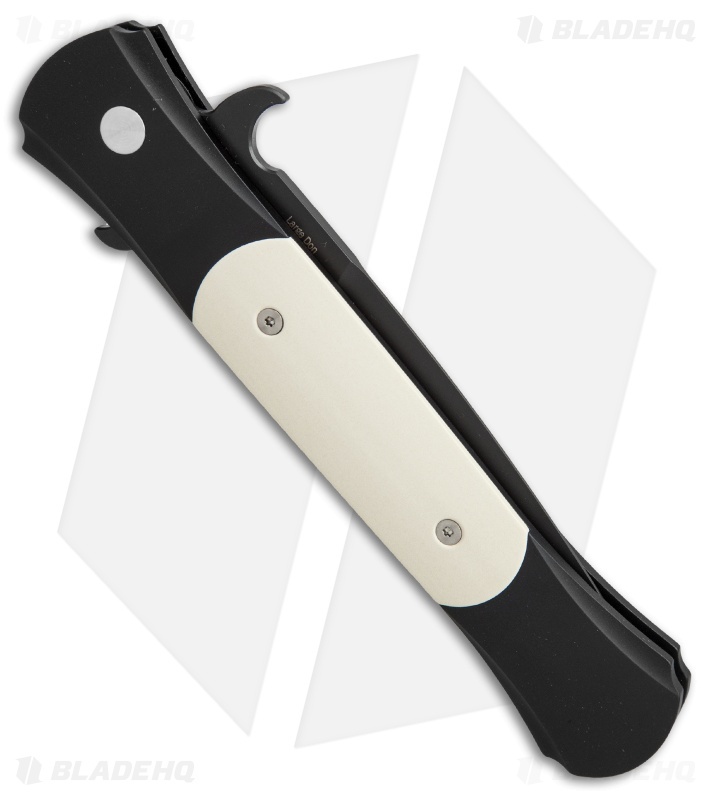 The Don has polished ivory colored micarta scales on both the front and back of the handle. 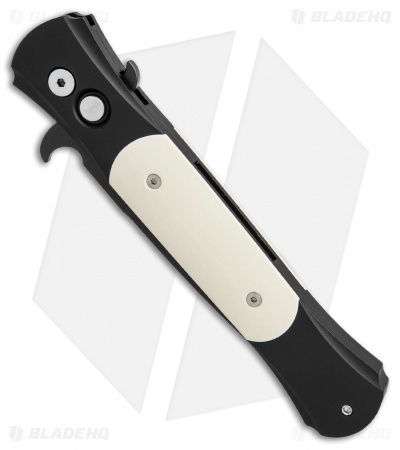 The "tuxedo" handle with the black body and the polished ivory inlays is a classy combination for the Don. The hardware on this knife is all satin finished.